Professor Erko received his PhD degree in experimental physics at the Moscow Physical Engineering Institute in 1981 and his habilitation in physics (Doctor of Science) in 1991. He became Professor of Experimental Physics in 1993. From 1978 to 1994, he was employed at the Institute of Solid State Physics and the Institute of Microelectronics Technology of the Russian Academy of Sciences in Chernogolovka, Moscow district, initially as Senior Scientist and then later as Head of the “X-ray Optics and Technology Laboratory”. In 1994, he came to Berlin to do research at the storage ring BESSY II, where he worked for the BESSY GmbH Berlin as Senior Scientist from 1994 to 2009, and then from 2009 to 2010 as Senior Scientist for the Helmholtz Centre Berlin for Materials und Energy GmbH (HZB). In 2010, he became Head of the Institute for Nanometre Optics and Technology. His research interests focus especially on x-ray optics, x-ray holography and synchrotron radiation beamline design. He is co-author of two monographs and co-editor of two books on x-ray optics and x-ray microscopy. Professor Erko successfully organized the lecture series for master students on the topic “Modern X-ray and Neutron Methods for Science and Technology” at the Free University Berlin since winter semester 2009/2010. In 2011, he was appointed Honorary Professor for Experimental Physics by the president of the Freie Universität Berlin. 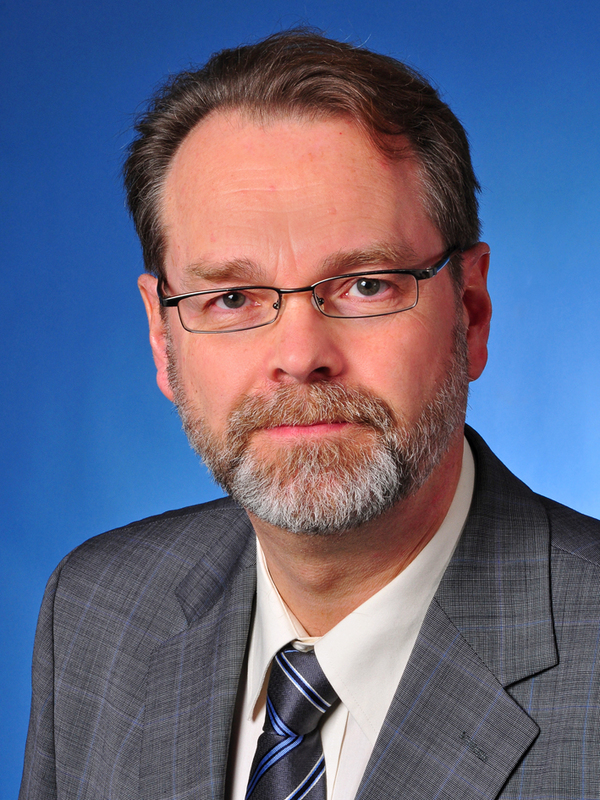 After his Helmholtz Centre Berlin for Materials and Energy GmbH (HZB) career he joined the IAP as its Scientific Director in March 2018. Also in 2018 the Association of Friends of HZB awarded him with the European Innovation-Award on Synchrotron Radiation. 20. Surface acoustic wave propagation in graphene film, D. Roshchupkin, L. Ortega, I. Zizak, O. Plotitcyna, V. Matveev, O. Kononenko, E. Emelin, A. Erko, K. Tynyshtykbayev, D. Irzhak and Z. Insepov, J. Appl. Phys. 118, 104901 (2015). 26. Methods development for diffraction and spectroscopy studies of metalloenzymes at X-ray free-electron lasers, J Kern, J Hattne, R Tran, R Alonso-Mori, H Laksmono, S Gul, RG Sierra, J. Rehanek, A. Erko, R. Mitzner, Ph. Wernet, U. Bergmann, N. K. Sauter, V. Yachandra, J. Yano, Philosophical Transactions of the Royal Society B: Biological Sciences (2014), 369, 1647, 20130590. 39. Studying acoustic-wave fields in langasite-family crystals using the BESSY II synchrotron radiation source. D.V. Roshchupkin, O.A. Plotitsyna, R.R. Fakhrtdinov, D.V. Irzhak, A.I. Erko, Journal of Surface Investigation. X-ray, Synchrotron and Neutron Techniques . (2013), 7 4, 659-662..
47. XAFS studies of the local structure and charge state of the Pr impurity in SrTiO3, I. A. Sluchinskaya, A. I. Lebedev, A. Erko, Physics of the Solid State, (2012), 54(5), 975-979. 51. Combining scanning probe microscopy and X-ray spectroscopy, C. Fauquet, M. Dehlinger, F. Jandard, S. Ferrero, D. Pailharey, S. Larcheri, R. Graziola, J. Purans, A. Bjeoumikhov, A. Erko, I. Zizak, B. Dahmani, D. Tonneau, Nanoscale Research Letters, 6, 308, 2011. 60. Direct evidence for off-centering of Mn impurity in SrTiO3, A. I. Lebedev, I. A. Sluchinskaya, A. Erko, V. F. Kozlovskii, Jetp Letters, (2009), 89/9, 457-460. 79. Nanometer focusing of x-rays with modified reflection zone plates, A.G. Michette, S.J. Pfauntsch, A. Erko, A. Firsov, A. Svintsov, Optics Communications, 245, (2005), 249–253. 82. Исследование белково-липидных мембранных моделей с помощью рентгенофлуоресцентных методик, Н.Н. Новикова, Э. А. Юрьева, С.И. Желудева, М.В. Ковальчук, Н.Д. Степина, О.В. Коновалов, А.Л. Толстихина, Р.В. Гайнутдинов, Д.В. Урусова, Т.А. Матковская, А.М. Рубцов, О.Д. Лопина, А.И. Ерко, Поверхность. Рентгеновские, синхротронные и нейтронные исследования, (2005), № 8, с. 67-73. 95. Многослойные регистраторы пучков Брэгга-Френеля BESSY, А. Ерко, К. Холлдак, В. В. Питмaн, Т. Нолл, В. В. Аристов, А. Якшин. Л. Панченко, А. Коваль, В. Данилов, Поверхность. Рентгеновские, синхротронные и нейтронные исследования, (1999), N1, 170-174. 127. Multilayer Structure Modulated by Surface Acoustic Waves, G.V. Vereschagin, A.I. Erko, D.V. Roschupkin, A.M. Smolovich, Nuclear Instruments and Methods in Physics Research, 1989, A282, 634-637. 128. Fabrication of diffraction X-Ray Elements, S.V. Babin, A.I. Erko, Nuclear Instruments and Methods in Physics Research, 1989, A282, 529-531. 129. Synthesized Multilayer Fresnel X-Ray Optics, A.I. Erko, Review Scientific Instruments, 1989, 60, Nr,7, P28, 2502-2505. 130. Principles of Bragg-Fresnel Multilayer Optics, V.V. Aristov, A.I. Erko, V.V. Martynov, Revue Phys. Appl., 1988, 23, Nr.5. 1623-1630. 134. Plane Optics for Optical Lithography, G.A. Bashkina, S.V. Babin, A.V. Davydov, A.I.Erko, V.V. Martynov, Microelectronics, 1988, 17, P2, 184-186. 137. Precise Lithography for Component Integral Optics of Nanometer Range, V.V. Aristov, S.V. Babin, A.V. Davydov, A.I. Erko, A.A. Svintsov, S.V. Redkin, Microelectronic Engineering. 1987, 6, 129-134. 141. Observation of X-Ray Bragg Diffraction on the Periodic Surface Relief of a Perfect Silicon Crystal, V.V. Aristov, A.I. Erko, A.A. Snigirev, A.N. Nikulin, Optical Communications, 1986, 58, Nr.5, 300-302. 142. Observation of Fourier Images in Soft X-Ray Radiation, V.V. Aristov, S. Aoki, A.I. Erko, S. Kikuta, V.V. Martynov, Optics Communications, 1985, 56, Nr.4, 223-255. 144. Projection Image Transmission of Periodic Structures in Spatially Incoherent Radiation, V.V.Aristov, A.I.Erko, V.V. Martinov, Optics Communications, 1985, 53, Nr.3, 159-163. 145. Device Fabrication by Nanolithography and Electroplating for Magnetic Flux Quantization Measurements, E. Kratchmer, H. Beneking, A.I. Erko, V.T. Petrashov, Appl. Phys. Lett., 1984, 44, (10), 1011-1013. 147. An application of synthetic holograms for an investigation of local electrical fields by scanning electron microscopy, V.V. Aristov, G.A. Bashkina, A.I. Erko, Surface: Physics, Chemistry and Mechanics, 1982, Nr.7, 61-63. 152. Holography of Microobjects in Soft X-Rays, V.V. Aristov, G.A. Bashkina, A.I. Erko, Opt. Communs. 1980, 34, Nr.3, 332-336. 153. Processing of X-Ray Images by Optical Filtration Methods, V.V. Aristov, G.A. Bashkina, A.I. Erko, Phys. Stat. Sol.,1980, 59a, 663-671. 1. Device and method for determining the energetic composition of electromagnetic waves, A. Erko, N Langhoff, A Bjeoumikhov, , A Bjeoumikhov, US Patent 9,417,341. 4. A.Erko, Plenary speaker, State-of-the-art X-ray optical systems and their fabrication, 13th International Conference of the European Society for Precision Engineering & Nanotechnology, 27-31 May 2013, Berlin, Germany. 7. A. Erko, Invited speaker, Novell Röntgenoptische Systeme für Spektroskopie und Monochromatoren. Prozessnahe Röntgenanalytik PRORA, 22-23 November 2013, Berlin-Adlershof. 14. A. Erko, Invited speaker, Hard X-Ray Microspectroscopy at BESSY II, SPIE Annual meeting Europe, Workshop: Challenge in Optics and Optoelectronics, Plaque, 23 April 2009, Czech Rep.
17. F. Pinakidou, M. Katsikini, E. C. Paloura, P. Kavouras, Ph. Komninou, Th. Karakostas, A. Erko, Study of glasses containing Zn- and Fe- contaminated Electric Arc Furnace Dust by means of μ-XRF mapping and μ-XAFS, Proc. of the International Conference on Engineering for Waste treatment, Albi, France, 2005. 38. P. Chevallier, P. Dhez, A. Erko, E. Khzmalian, C. Khan-Malek, A. Freund, L. Panchenko, S. Redkin, V. Zinenko, B. Vidal, „First test of the Bragg–Fresnel Multilayer X-Ray Fluorescence Microscope at LURE“ in X-Ray Microscopy III, Proceed. of the 3-d International Conference on X-Ray Microscopy XRM-90 ed. by A.G. Michette, G.R. Morrison, Springer, 1992, P.391-398. 39. V.V. Aristov, A.I. Erko, A.A. Firsov, S.V. Gaponov, N.N. Salashchenko, A.V. Zabelin, B.V. Rybakov, E.P. Stepanov, „Focusing of Soft X-Ray Radiation by an Ellipsoidal Bragg-Fresnel Lenz“, Conference Proceedings, 25-1, „2nd European Conference in X-Ray Synchrotron Radiation Research“, A.Balena, E.Bernieri, S.Mobilio (Eds.) SIF, Bolongna 1990, p.275-278. 40. V.V. Aristoiv, A.I .Erko, E.R. Khzmalian, “Silicon-Based Phase Zone Plate for X- Rays”. Conference Proceedings, 25-1, „2nd European Conference in X-Ray Synchrotron Radiation Research“ A.Balena, E.Bernieri, S.Mobilio (Eds.) SIF, Bolongna, 1990, P.273-275. 41. S.V. Babin, A.I. Erko, A.A. Svintsov, “E-Beam Lithography of non-periodical structures”, Proceedings of International Conference of E-Beam Technology, Varna, Bulgaria, 1988, P.379-385. 42. V.V. Aristov, A.I. Erko, L.A. Panchenko, V.V. Martynov, S.V. Redkin , G.D. Sazonova „Zone Plates for the Nanometer Wavelength Range“, Spriger Series in Optical Science 56 X-Ray Microscopy II Ed. by D.Sayre, M.Howells, J.Kirz, H.Rarback, 1987, P.138-141. 43. V.V. Aristov, A.I. Erko, V.V. Martynov „X-Ray Fourier Optics“, AIP Conference Proceedings, Nr.147, „Short Wavelength Coherent Radiation: Generation and Application“, ed. by D.Attwood, J.Bocor, 1986, P.71-80. 44. V.V. Aristov, V.A. Agafonova, A.I. Erko, D.V. Roschupkin, “Investigation of Proximity Effect Influence on Resist Properties”, Proceedings of International Conference of E-Beam Technology, Varna, Bulgaria, 1985, P.501-504. 45. V.V. Aristov, A.I. Erko, S.V. Babin, L.V. Dorozhkina, “Investigation of Proximity Effect in E-Beam Lithography”, Proceedings of International Conference on Microlithography, Cambridge, 1983, P.56-63. 46. V.V. Aristov, A.I. Erko, Ch.V. Kopetski, “Prospects for the Applications of Methods of Diffraction Optics to X-Ray Lithography”, Proceedings International Conference on Microlithography, Grenoble, 1982, P.137-141. Diffraction X-Ray Optics, A.I. Erko V.V.Aristov, B.Vidal, „“ IOP Publishing, Bristol, 1996, 150 P.